Mourinho: "I don't think Chelsea can have a better manager than I am." 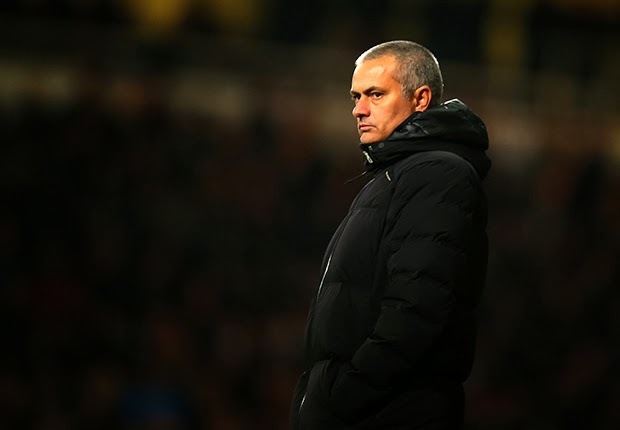 Jose Mourinho has once again spoken of the reason he decided to make an emotional return to Stamford Bridge and has reaffirmed that his appointment and his aims are for the long term. It's interesting to hear him having to do this once again as with some of our results, people are making comparisons to his first stint at Chelsea as manager. We keep hearing that compared to 2004 and 2005, Chelsea have suffered more defeats than they had etc. "In football nobody is untouchable, but I will not be looking over my shoulder, because I know for which reason I came, I know what kind of job I was asked to do. And to prepare this Chelsea 'new' team -- that we expect is Chelsea's new team for about a decade; the same way the other team was a Chelsea team for almost a decade -- I don't think Chelsea can have a better manager than I am. I think I'm the right person to do the job and a bad result on Monday (at Arsenal) or a bad result on Friday, or Wednesday, doesn't change that perspective. Next year Chelsea will have a phenomenal team. Between the work we are doing and evolution of the players and a couple of clinical signings -- two clinical players to complete the puzzle you are building -- I think Chelsea next season will have a very good team." I guess likewise, some Chelsea fans out there are doing the same as the press and are demanding instant success this season. We keep hearing the word transition and it is something that Chelsea have no option but to address and have placed their faith in one of the most successful managers in recent times to oversee. In saying that, it's not easy as with any new appointment, the manager will want to sign his own players and stamp his playing style on the team and it does take time. We all sit and have a moan when we do not play well, if our results are bad and if we are dropping points in games we should be winning but just look at where we are in the table! I have 100% faith in Mourinho to make this home coming as successful as the first but it may take longer and I accept that. I would be more than happy to challenge for honours this season, of course I would but a top three finish in the Premier League and a Cup would be enough for me this season. As for next season and what he has said? I can't wait!